The 40 passenger motor coach has room for 40 adults, fits all types transportation needs and looks great, too. 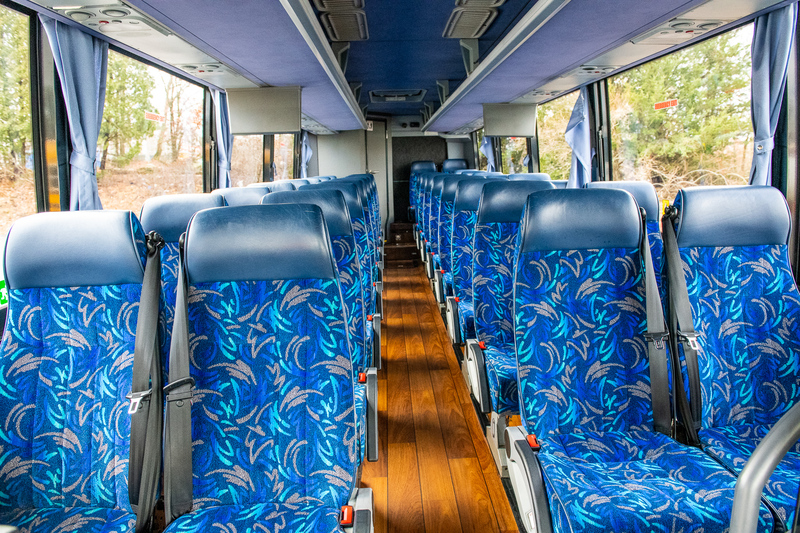 The versatile and comfortable motor coach has center-aisle access, air conditioning, TV/DVD/VCR, microphone, reclining seats, lavatory, reading lights, overhead storage, 110 volt power outlets, WiFi, and 3-point harness seatbelts. 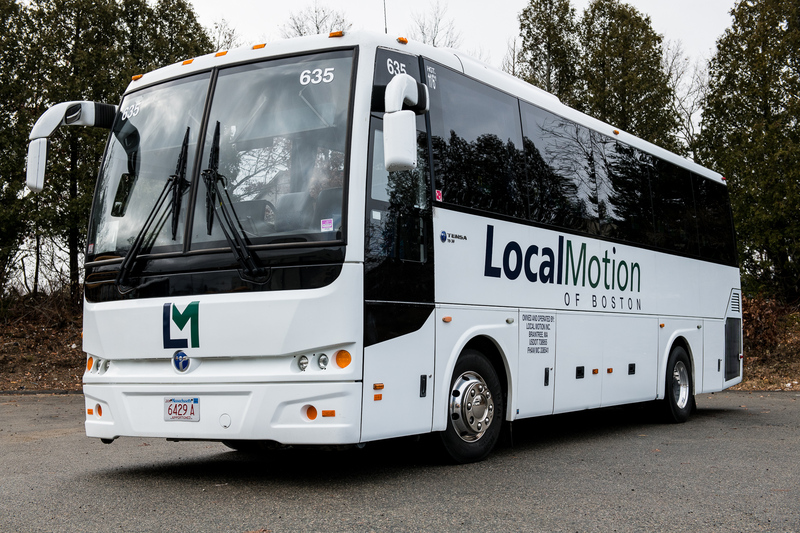 Local Motion takes great care to provide you the highest quality transportation solution and fit it to your budget. 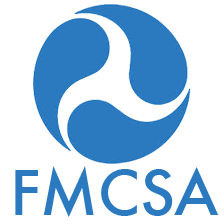 Allow us to customize an accommodation to your specific event and budget by calling 781-535-6344 today.